Riding high on the success of his EPOCH EP in February, John Monkman makes his debut on Crosstown Rebels with HARMONIX, a celebration of the Moog Voyager, whilst techno heavyweight Matrixxman supplies the remix. A true master of his craft, Monkman has been creating music for over a decade and his passion and experience shine through his productions. HARMONIX was born after the UK producer and DJ limited himself to just one synth, resulting in “interesting harmonics and a rawness that comes from syncing the oscillators, combined with an overload hack that gives the sound a little more juice”. Sophisticated and formidable, HARMONIX 1 and HARMONIX 2 are orchestrated around the legendary Moog Voyager, with charged high hats that fracture the driving beat. US producer and DJ Matrixxman completes the EP with an imposing remix, verging on cinematic and brimming with atmosphere. 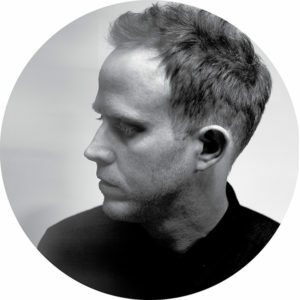 Continually building on his solid reputation, John Monkman has previously collaborated with Pete Tong, and released on labels including; Kompakt, Get Physical and Noir.